A collection of released figures sorted by series and release date. 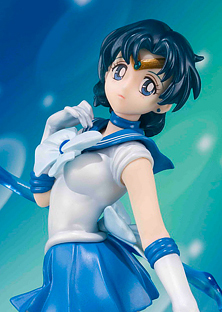 You can purchase figures from places such as CDJapan, JBOX, AmiAmi and YesAsia. 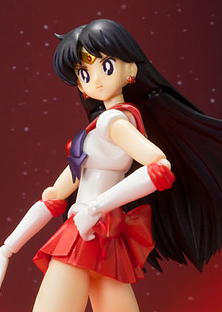 Older figures may be found on eBay, but beware of bootlegs. 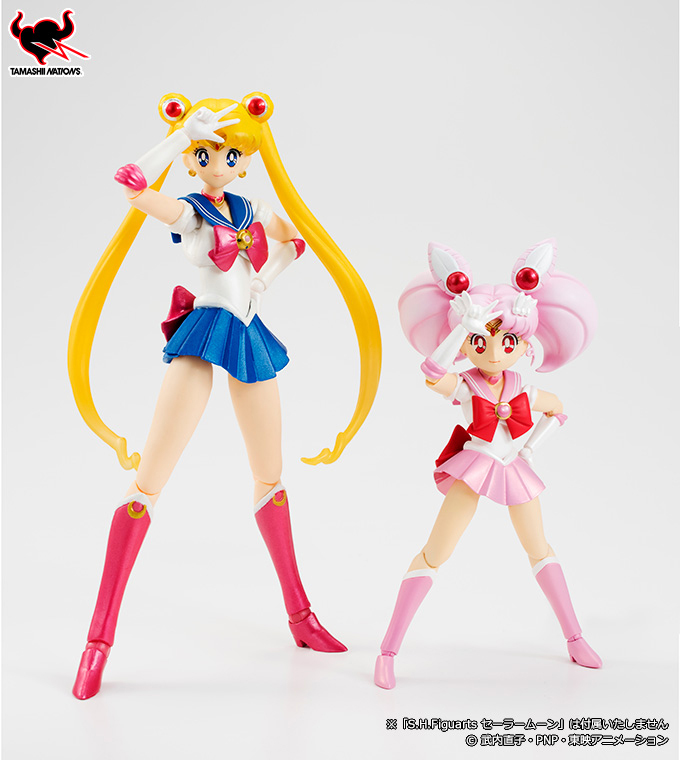 This series was made for the 20th anniversary celebration by Bandai Tamashii Nations. 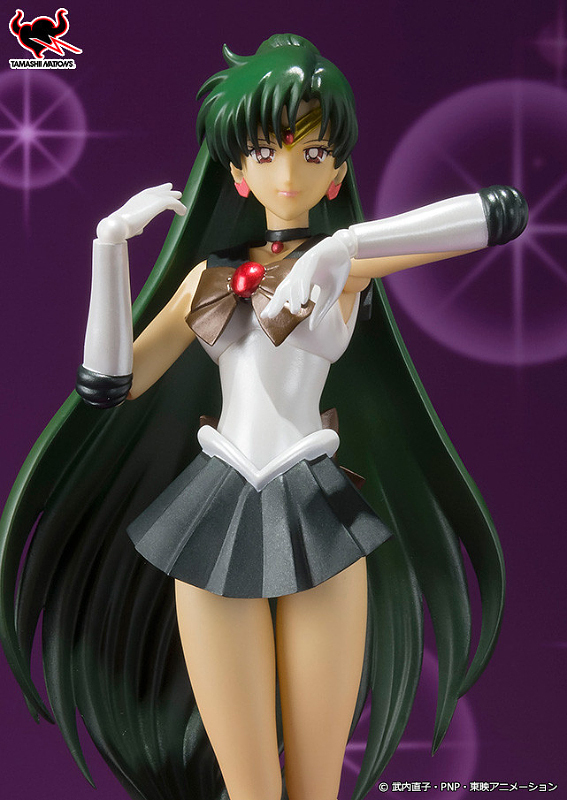 It features poseable characters with extra faces, hands and items. There are bootlegs of this series. 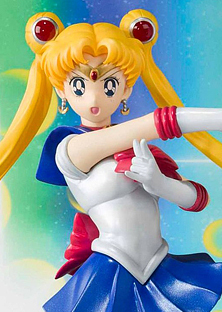 This figure of Sailor Moon comes with four faces, six left hands, four right hands, a tiara effects part, two Moon Sticks and Luna. The first edition release came with two extra faces, winking and crying. 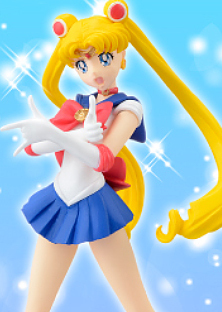 The base is clear in the shape of a heart, which has a pink border and text saying Sailor Moon. 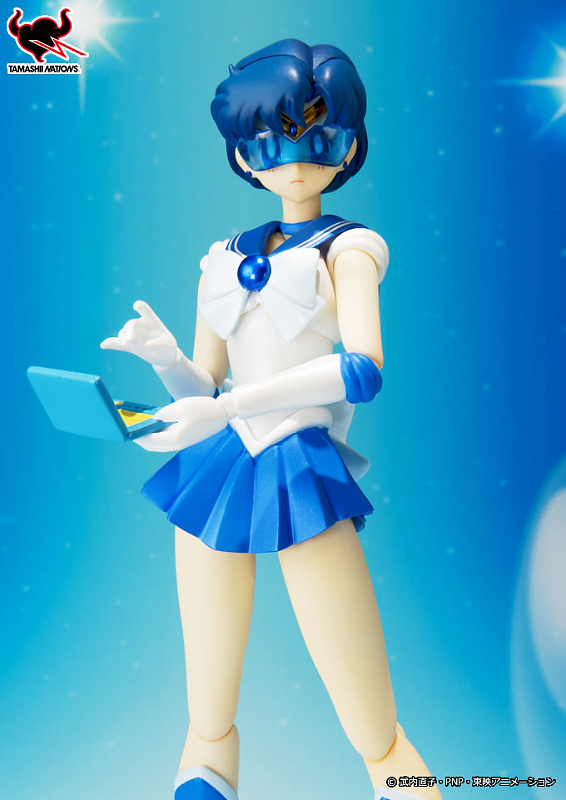 This figure of Sailor Mercury comes with four faces, six left hands, five right hands, two computers (one open, one closed), and an alternate hair fringe with her goggles attached. 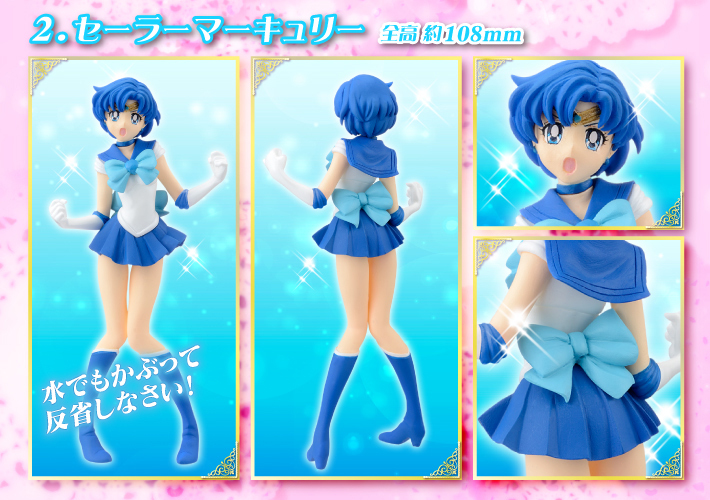 The base is clear in the shape of a heart, which has a blue border and text saying Sailor Mercury. 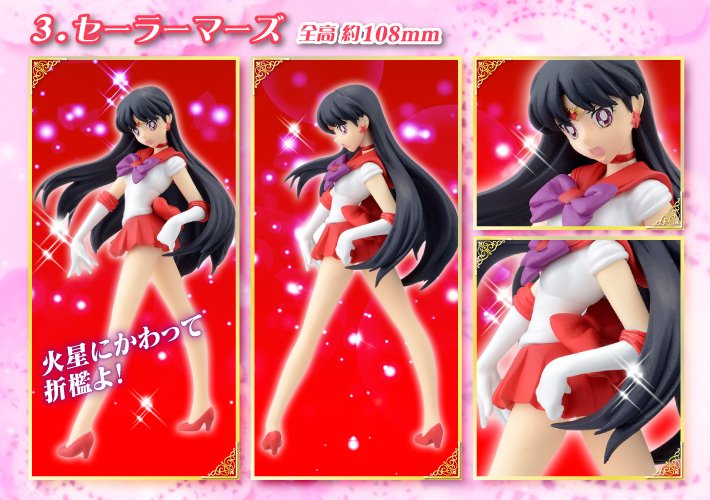 This figure of Sailor Mars comes with four faces, six left hands, five right hands, and an ofuda. 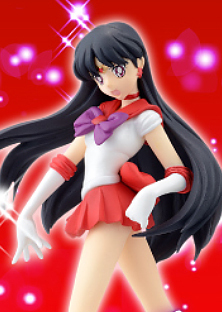 The base is clear in the shape of a heart, which has a red border and text saying Sailor Mars. 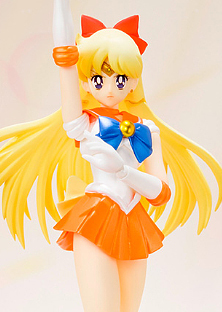 This figure of Sailor Venus comes with four faces, four left hands, three right hands, goggles and Artemis. 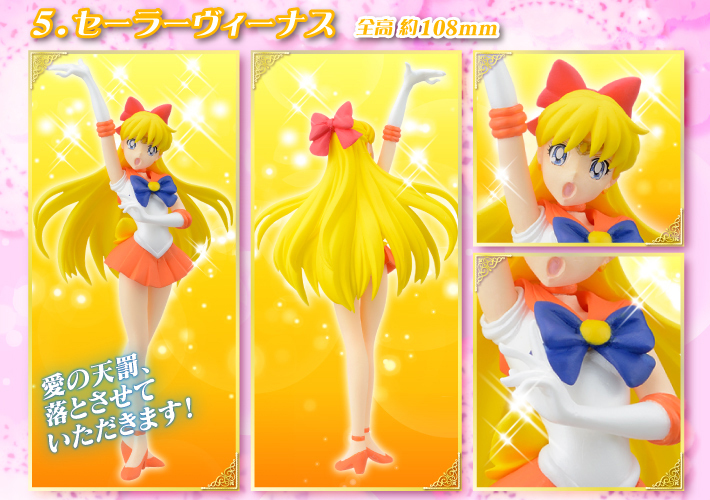 The base is clear in the shape of a heart, which has an orange border and text saying Sailor Venus. 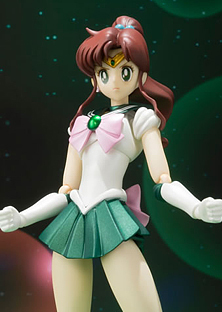 This figure of Sailor Jupiter comes with four faces, five left hands, five right hands, and an antenna. 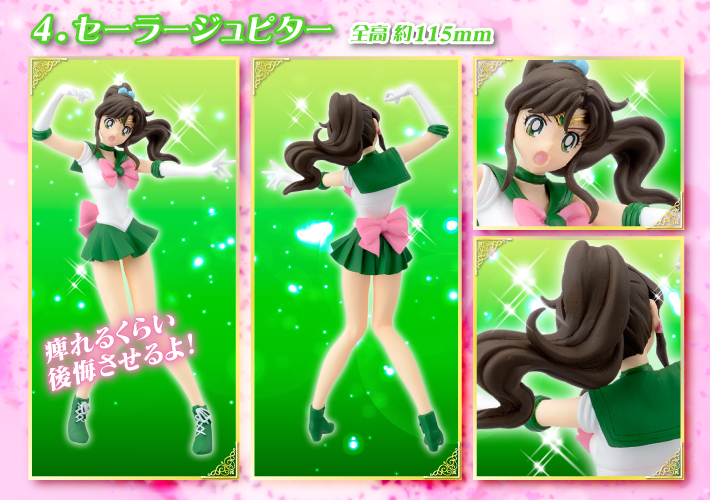 The base is clear in the shape of a heart, which has a green border and text saying Sailor Jupiter. 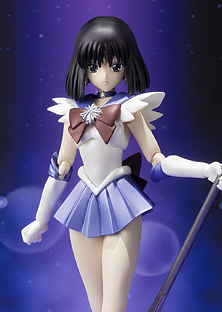 This figure of Sailor Saturn comes with three faces, four left hands, four right hands, and the Silence Glaive. 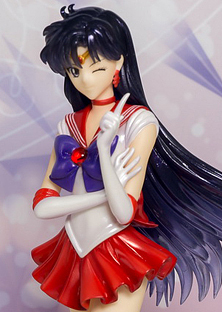 The base is clear in the shape of a heart, which has a purple border and text saying Sailor Saturn. 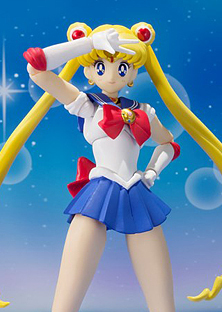 This figure is a limited edition version of the first figure made to commemorate Tamashii Nation 2014, an event held in Japan. 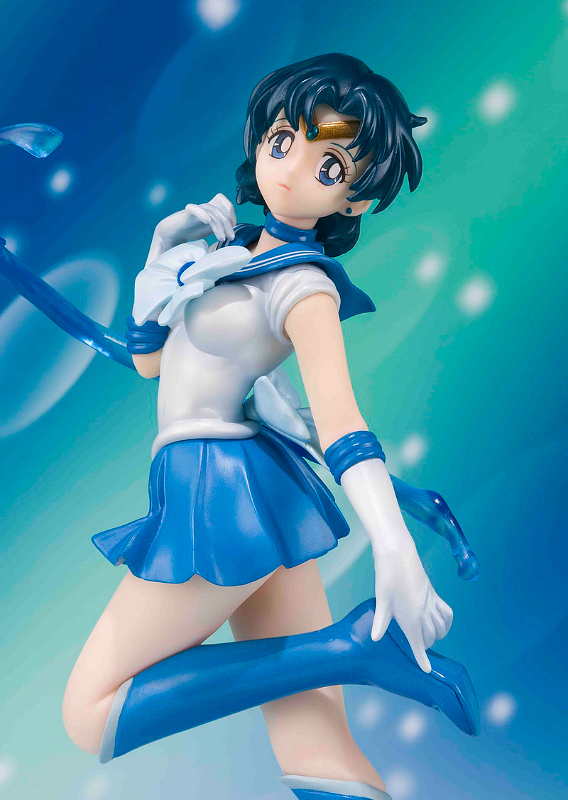 It has a different color scheme in order to resemble the original anime. The ends of the hair are also no longer clear. 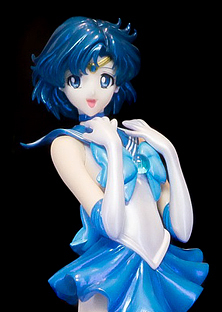 It comes with four faces, of which one is exclusive to this version. The base of this version has an orange border instead of pink, and also has a different box packaging. 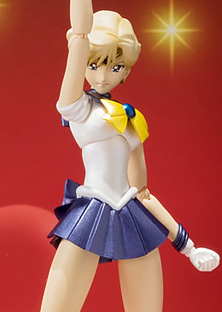 This figure of Sailor Uranus comes with four faces, five left hands, eight right hands, arms folded parts, the Space Sword and a heart-eyed face for Sailor Moon. 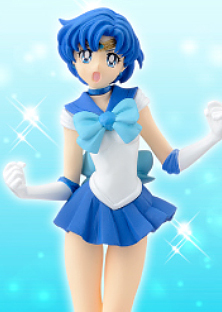 The base is clear in the shape of a heart, which has an blue border and text saying Sailor Uranus. 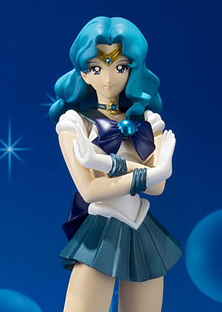 This figure of Sailor Neptune comes with four faces, six left hands, six right hands, arms folded parts, prayer hand parts, and the Deep Aqua Mirror. 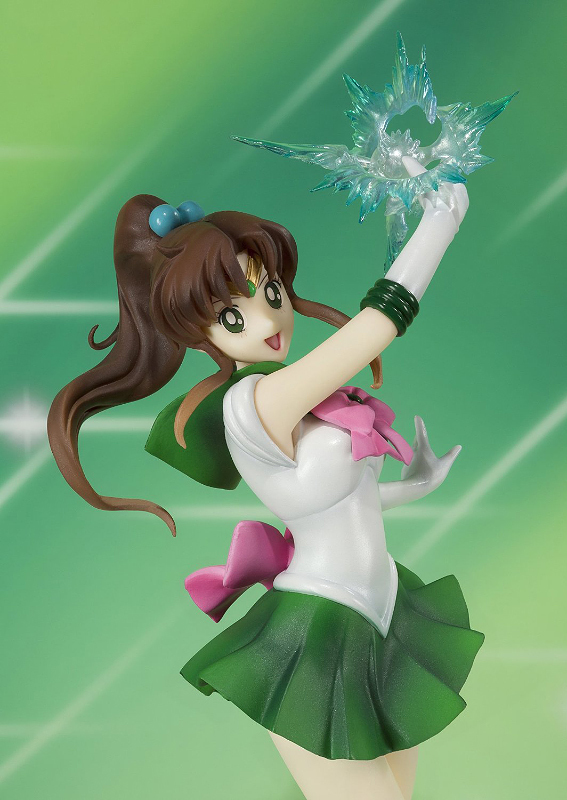 The base is clear in the shape of a heart, which has an aquamarine border and text saying Sailor Neptune. 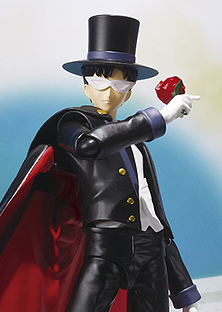 This figure of Tuxedo Mask comes with four faces, a cane, a rose and a star locket. The top hat and cape are detachable. 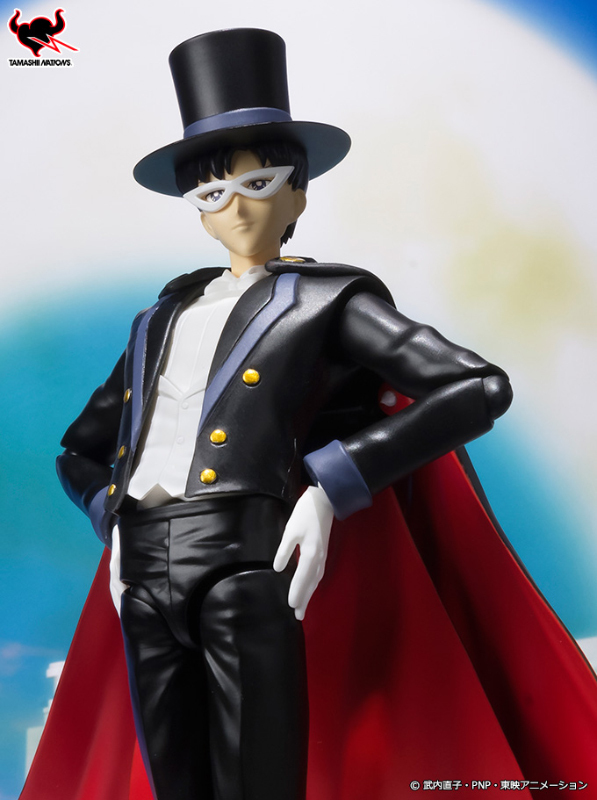 The base is clear black in a rectangular shape, which has a dark pink pattern and text saying Tuxedo Mask. 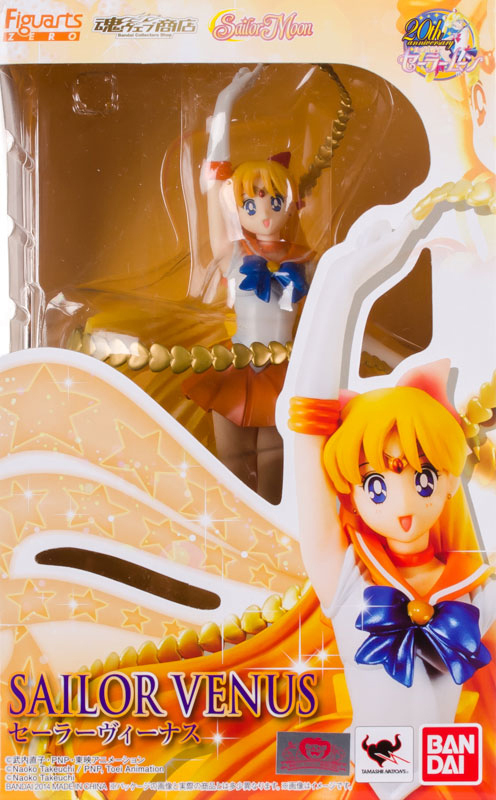 This figure of Sailor Chibi Moon comes with four faces, five left hands, five right hands, an additional hair piece and the Pink Moon Stick. 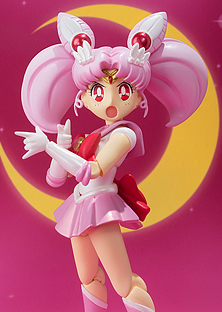 The base is clear in the shape of a heart, which has a pink border and text saying Sailor Chibi Moon. 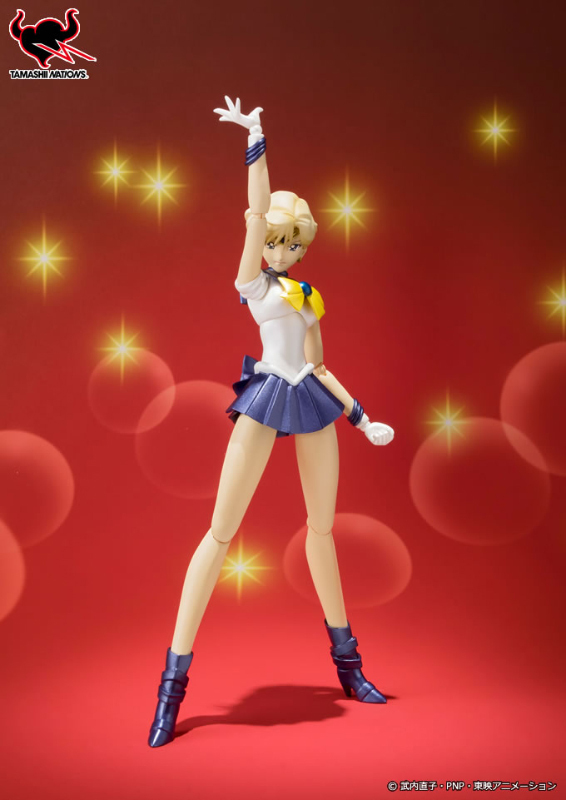 This is a limited edition figure of Zoisite's disguise as Sailor Moon in the original anime. It was a San Diego Comic Con exclusive. 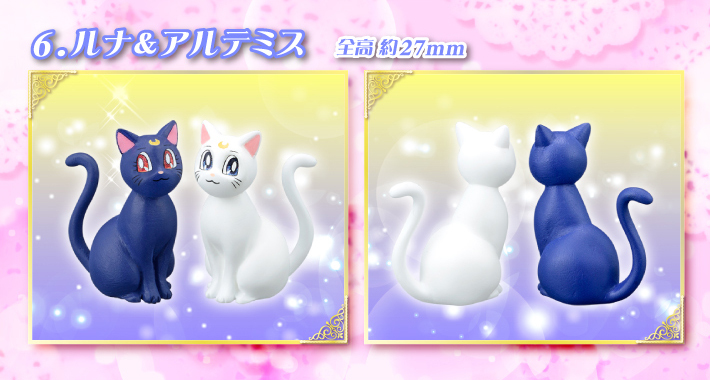 Special items for this version are Zoisite's boomerang and a Luna with a different face. 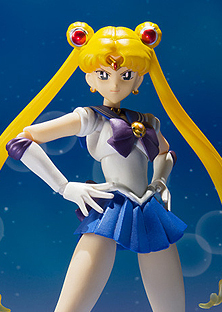 The base is clear in the shape of a heart, which has a purple border and text saying Nise Sailor Moon. 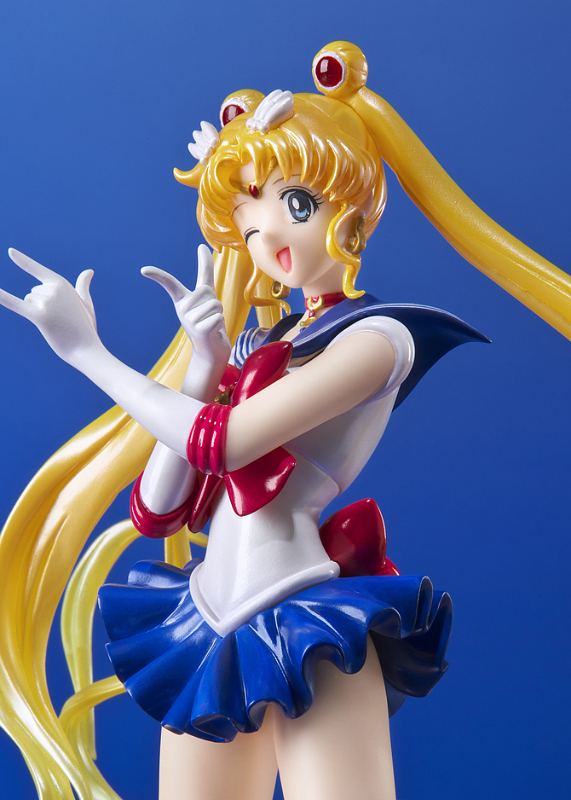 This figure of Super Sailor Moon comes with four faces, four left hands, seven right hands, the Holy Grail and the Spiral Heart Moon Rod. 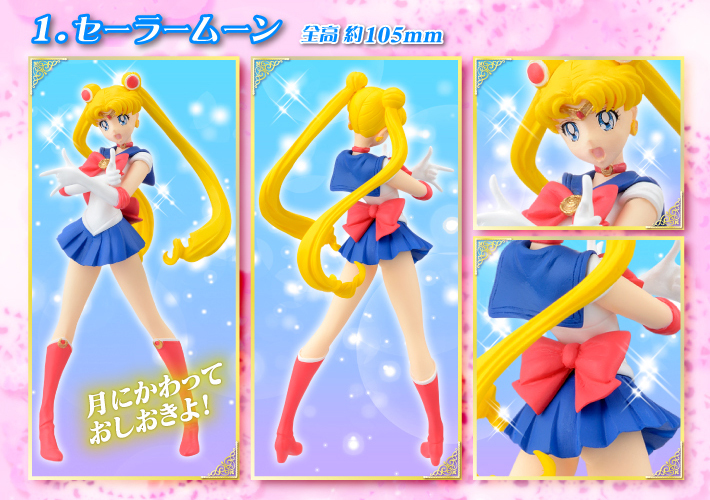 The base is clear in the shape of a heart, which has a pink border and text saying Super Sailor Moon. 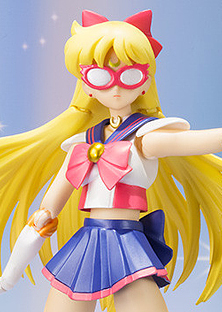 This figure of Sailor V comes with four faces, five left hands, six right hands and a hair piece with her mask. 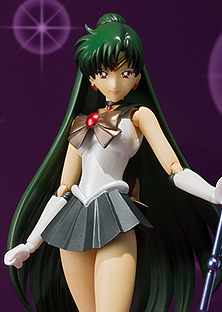 This figure of Sailor Pluto comes with three faces, four left hands, five right hands, and the Garnet Rod. 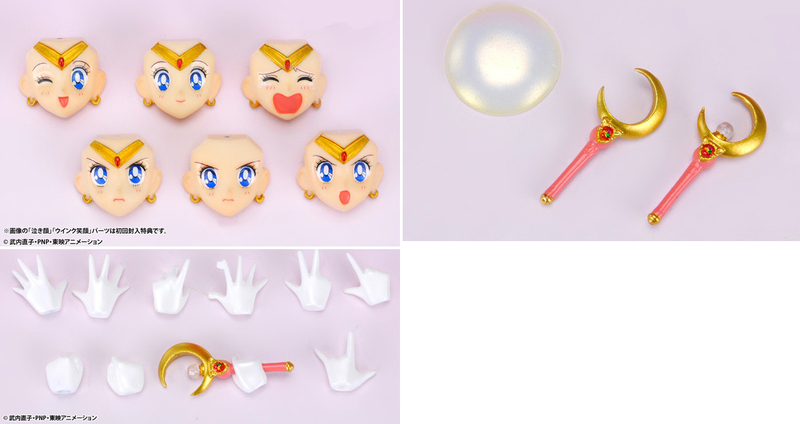 The Garnet Orb is detachable. 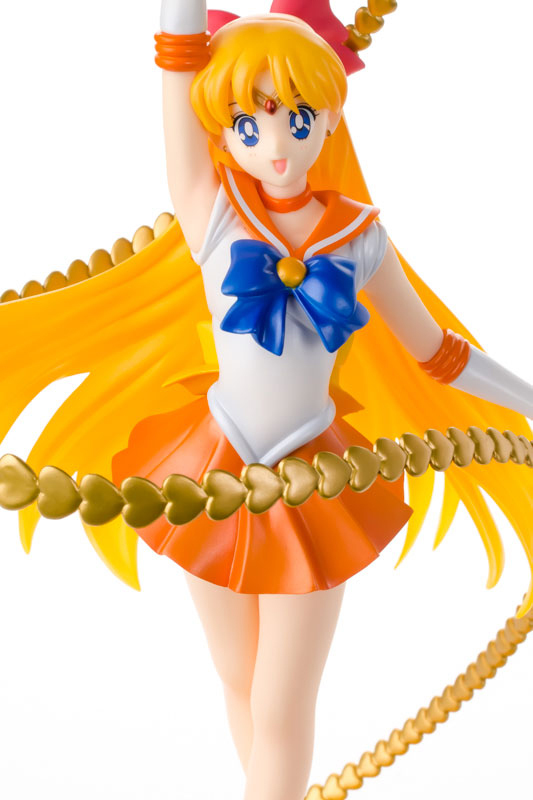 This series was made for the 20th anniversary celebration by Premium Bandai. These all came together as part of a complete set. You can find a review of the whole set here and here. 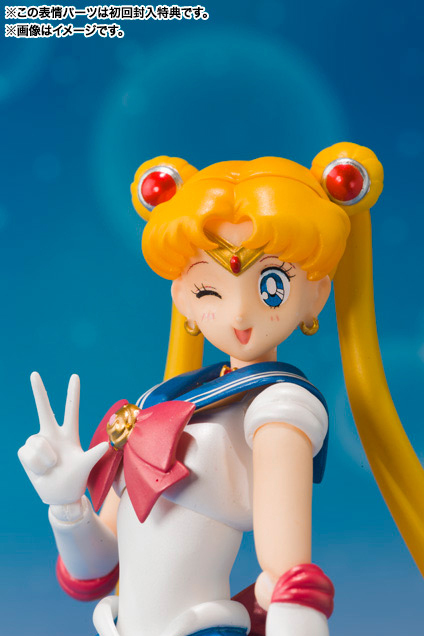 This figure features Sailor Moon holding her signature "Tsuki ni Kawatte Oshioyoki yo!" pose. She stands on a white, hexagonal base. It has 5 parts that need to be assembled, excluding the base. 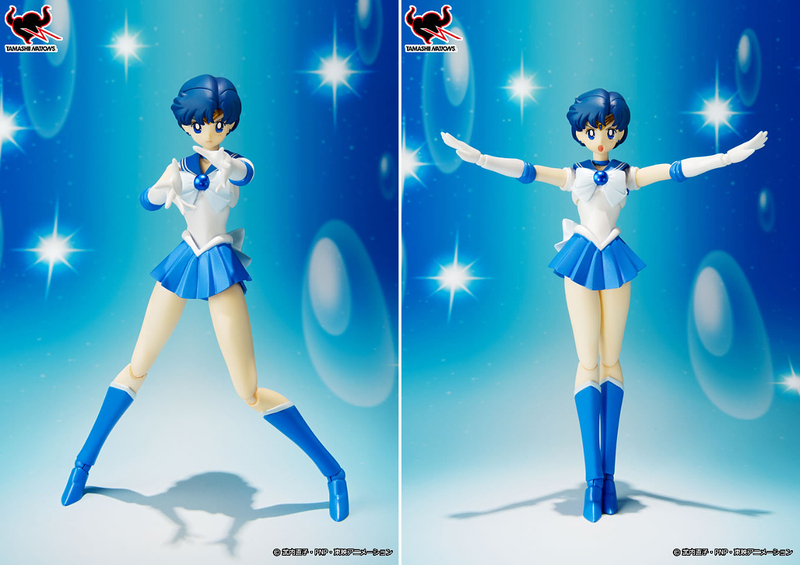 This figure features Sailor Mercury in her signature transformation pose. She stands on a white, hexagonal base. It has 3 parts that need to be assembled, excluding the base. 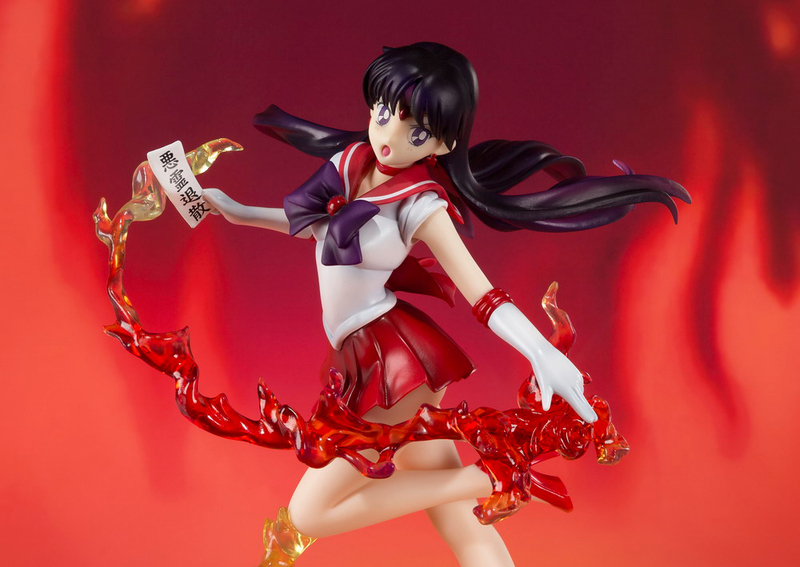 This figure features Sailor Mars in her signature transformation pose. She stands on a white, hexagonal base. It has 5 parts that need to be assembled, excluding the base. 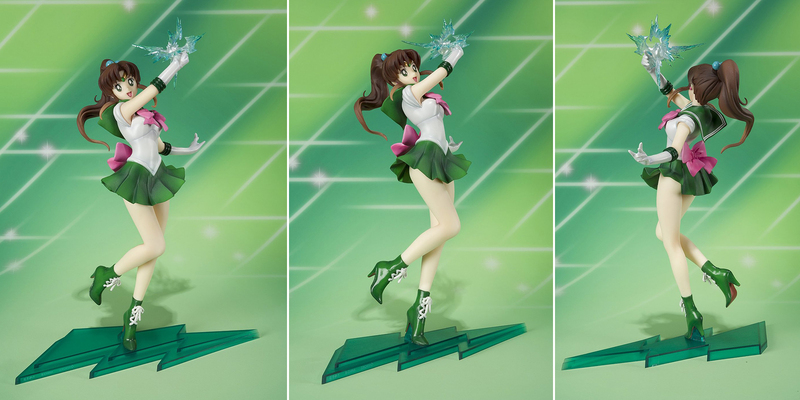 This figure features Sailor Jupiter in her signature transformation pose. She stands on a white, hexagonal base. It has 3 parts that need to be assembled, excluding the base. 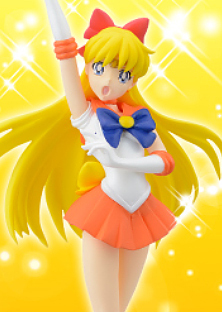 This figure features Sailor Venus in her signature transformation pose. She stands on a white, hexagonal base. It has 5 parts that need to be assembled, excluding the base. 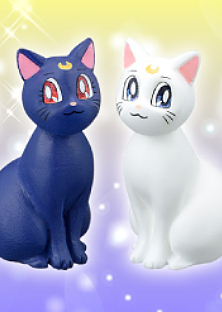 These figures features Luna and Artemis sitting. They do not come with bases. 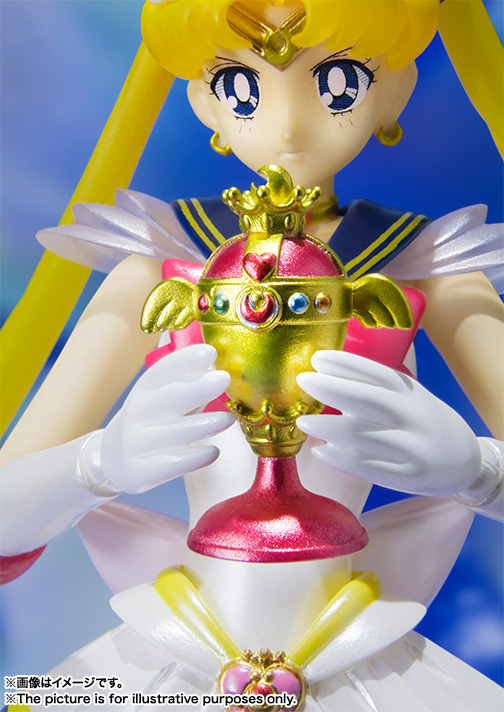 This series was made for the 20th anniversary celebration by Bandai Tamashii Nations and Volks. It features each character enveloped by their elemental powers. 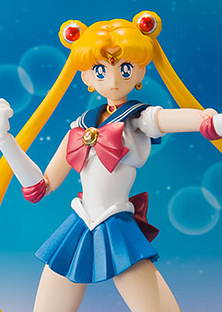 This figure is sculpted by Volks and features Sailor Moon holding the Cutie Moon Rod. 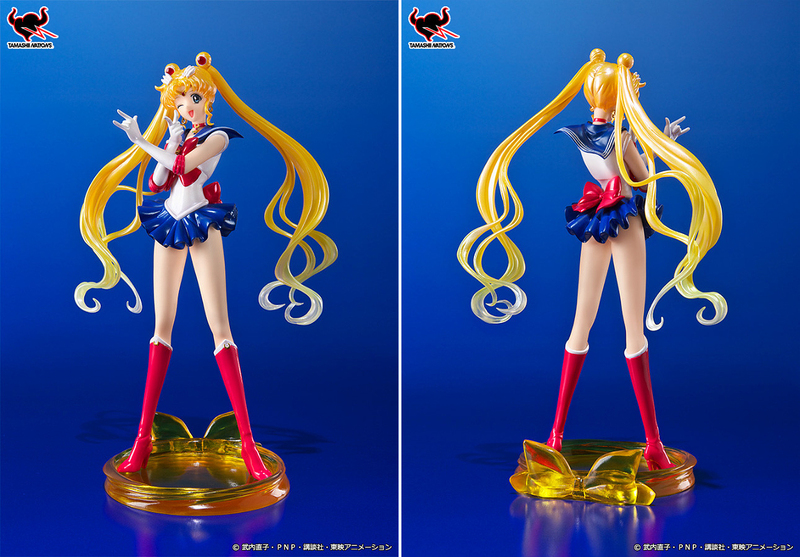 She stands on a clear yellow base in the shape of a crescent moon. 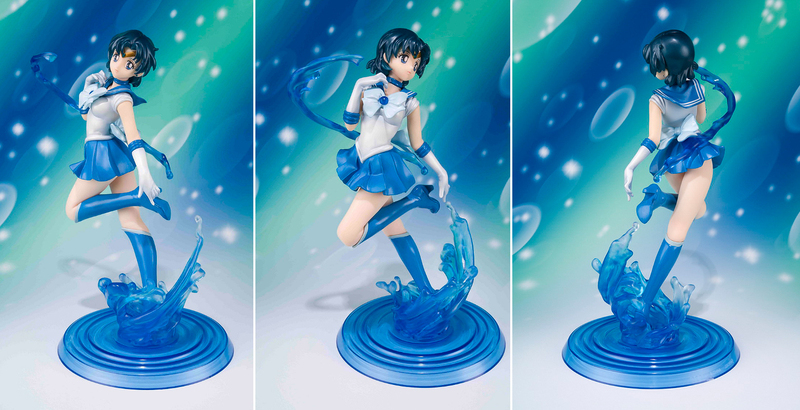 This figure is sculpted by Volks and features Sailor Mercury looking back with water surrounding her. 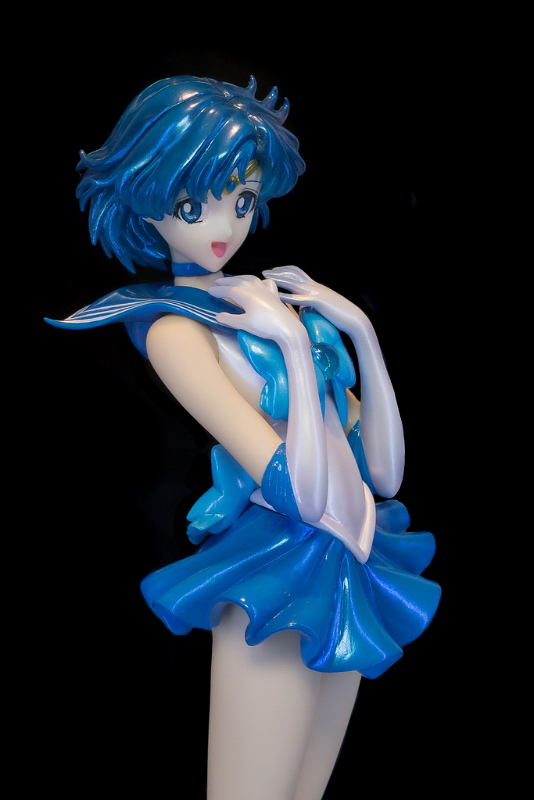 She stands on a clear blue, circular base. 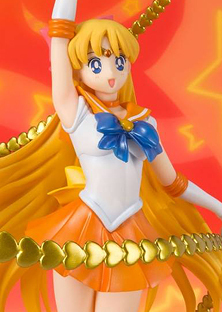 This figure is sculpted by Volks and features Sailor Venus holding her Love-Me Chain. 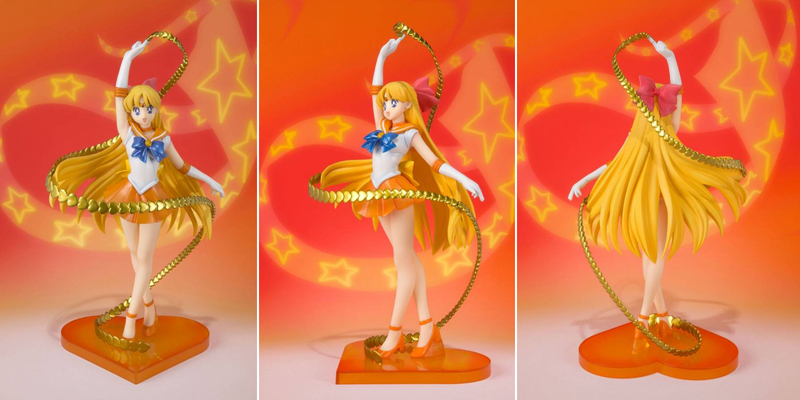 She stands on a clear orange, heart-shaped base. 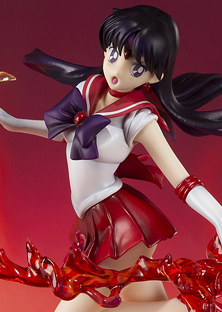 This figure is sculpted by Volks and features Sailor Mars looking back, holding an ofuda, with fire surrounding her. 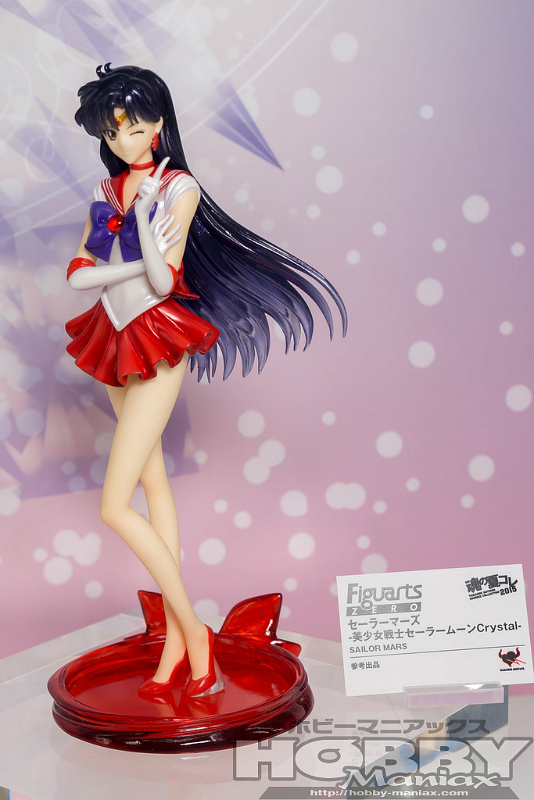 She stands on a clear red, circular base. 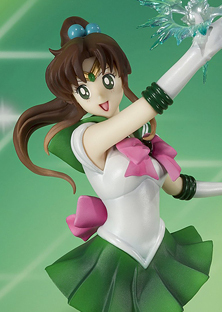 This figure is sculpted by Volks and features Sailor Jupiter about to strike with lightning. 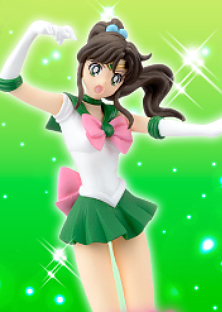 She stands on a clear green, lightning bolt-shaped base. 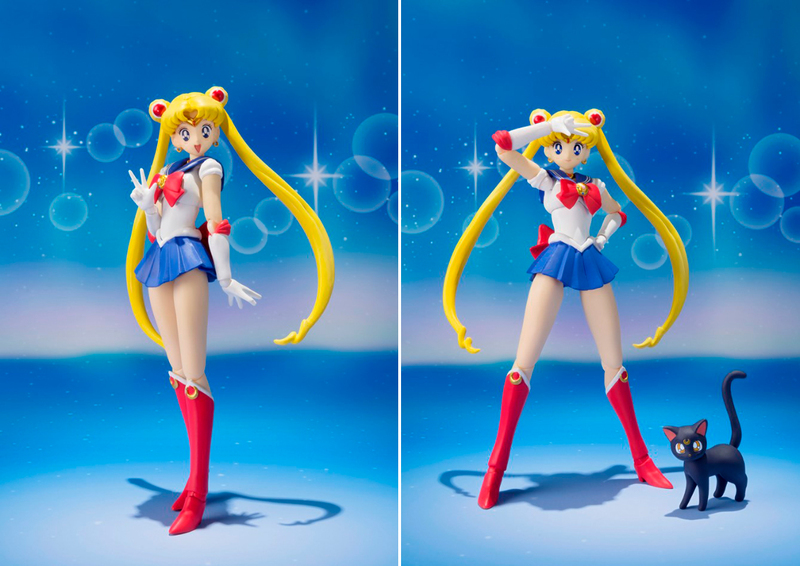 This series is made after the new Sailor Moon anime, Sailor Moon Crystal, by Bandai Tamashii Nations. 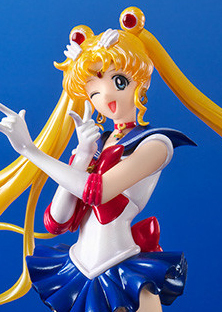 This figure features Sailor Moon in her trademark "I'll punish you!" pose. Her hair is transparent. 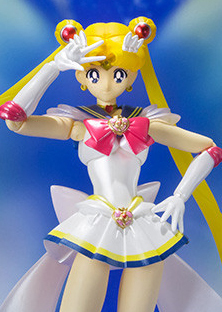 She stands on a clear yellow base with a bow attached to the back. 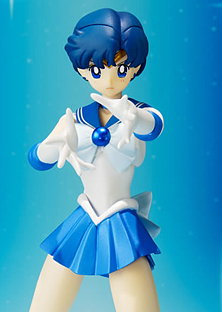 This figure features Sailor Mercury holding her hands to her chest, similar to her 90's Shine Aqua Illusion pose. Her hair is transparent. 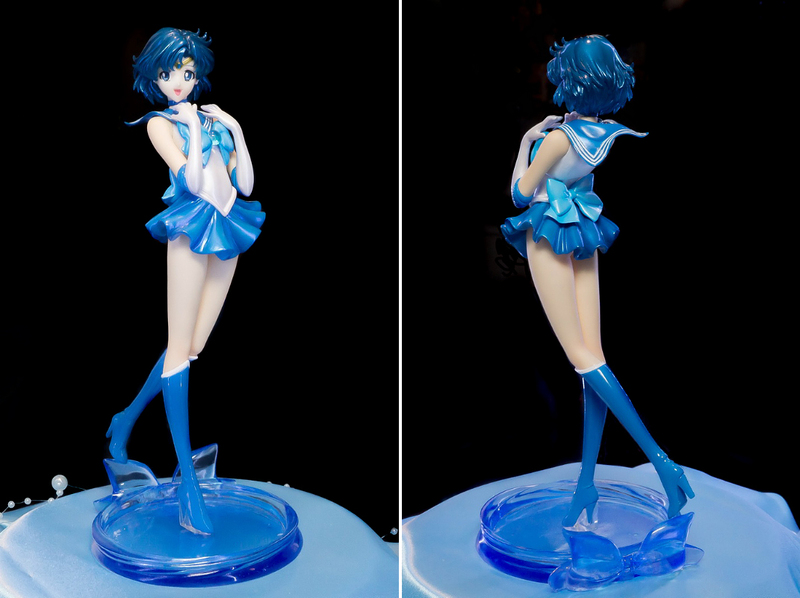 She stands on a clear blue, circular base with a bow attached to the back. 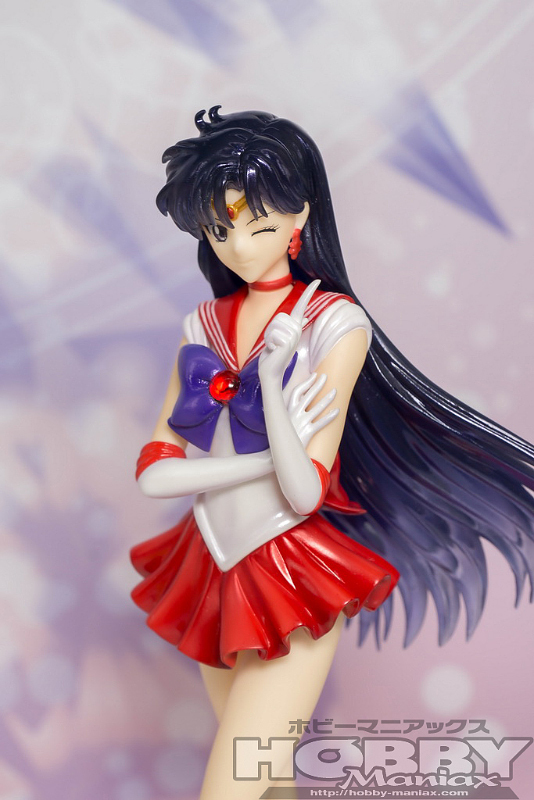 This figure features Sailor Mars winking as she holds up a finger. Her hair is transparent. 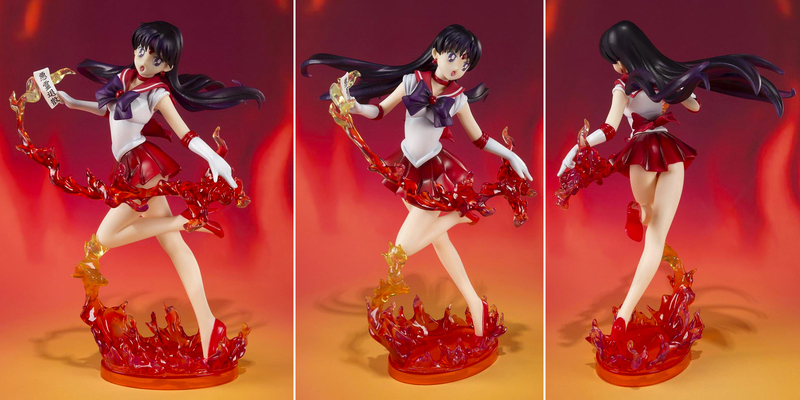 She stands on a clear red base with a bow attached to the back.